Abalone Resin Shell Penndant Necklace. 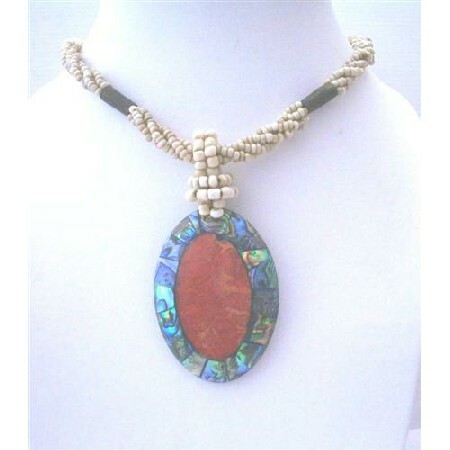 A beautiful Abalone Oval pendant with coral embedded cream beaded necklace. The shell has a great iridescence quality. Necklace is made with cream small beads strung together in single strand with Delicate & Elegant Abalone shell pendant unique style with high quality & has designed beautiful crafted. This necklace is very popular gift for someone you love or for yourself. Good shinning surface quality.